A Vauxhall dealership in Luton, Britain, on April 4. LONDON -- Opel and Vauxhall will cut the number of dealerships as new owner PSA Group continues to reduce costs at the automaker it acquired last year in the face of sliding sales, notably in Britain, a major market. PSA bought Opel and Vauxhall last year when it acquired General Motors’ unprofitable European arm and launched a major restructuring. Vauxhall's new boss Stephen Norman is tasked with turning around falling sales in what has traditionally been Opel-Vauxhall's biggest market, where demand fell 22 percent in 2017, compared with an overall market decline of 5.7 percent. "The requirements of the industry going forward and the requirements of the brands Opel and Vauxhall ... would not require as many retail outlets as the brands currently have," Norman told reporters. 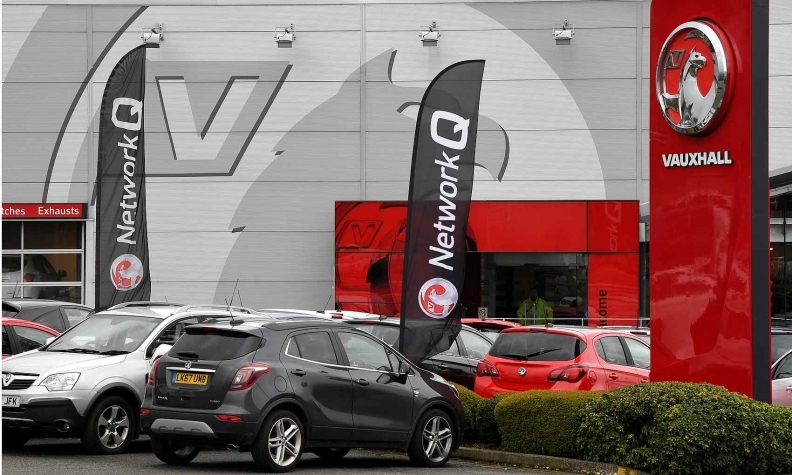 The CEO of a dealership group, speaking on condition of anonymity, told Reuters last month that Vauxhall wants to cut its showrooms by roughly a third to around 200 outlets to ensure its sales per outlet are "in a good place."